Despite its grand name, student teams in the Engineering for Humanity one-semester course I co-teach at Olin College with anthropologist Caitrin Lynch work intimately with one older adult in their community to design something that makes their lives better. There's a lovely video on Olin's site about the course. And here is a visual overview of one team's experience in the course (I'll add a voiceover in the near future...). Along the way, they use compasses to reflect on and evolve their experiences in the class, as a team, and as a designer in society. As we go, we increasingly encourage them to explore in whatever way they want—e.g. 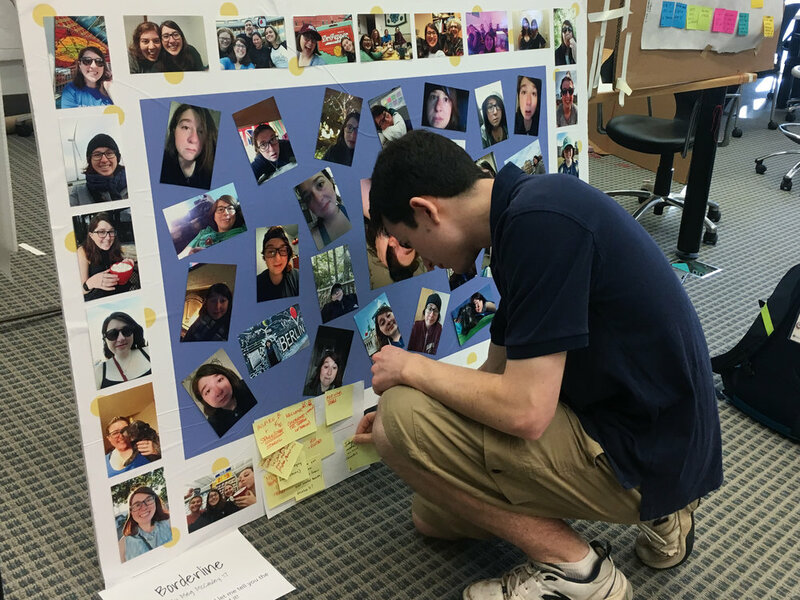 any pattern from the upper left poster below—as long as they arrive at meaningful observations, principles, ideas, and experiments to share. I'm happy to share all the class materials, just reach out! This includes the schedule, assignments and rubrics, logisitcal tools, and readings. In addition to the Compass, we taught with many individual readings on aging or design, and with the book 101 Design Methods (Kumar) and IDEO's Method Deck. If Engineering for Humanity is basically "design for one", "You-Oriented Collaborative Design" (a gentle play on the title of on another course I teach that's taken by the entire sophomore class, called User Oriented Collaborative Design) is "design for me." 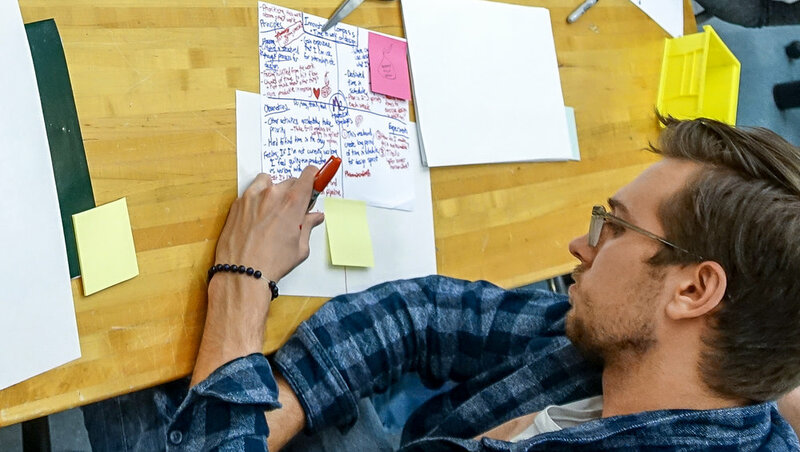 For one hour each week, students come together to use design thinking, via Innovators' Compass, in their lives. 1. Micro: students used it on whatever small, spontaneous stuff they want, and help each other: planning a class presentation, decisions they needed to make, roommate and team challenges, and so on. The students below are working on how to squeeze in more time to work on their interests, and a decision on housing for next year. 2. Macro: they used it on big stuff, and helped each other. At left, one student is giving another thoughts (on a mini compass) about her senior project around psychological illness, which she developed over the semester in YOCD. At right a senior's helping a sophomore figure out what her passions are and how to pursue them. 3. Methods: we'd interject design methods just-in-time as was helpful to the students, here using IDEO's Method Deck. 4. Meta: once in awhile we'd reflect on what it was like to design in our lives. Below are their were their observations from our final reflection.